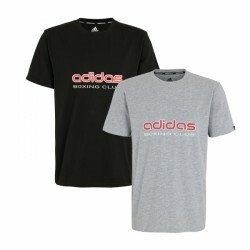 You attract attention with the adidas T-shirt Boxing Club while doing your sparring. Being made of 100 % cotton, it is durable and absorbs the sweat. So far so good. Standard T-shirt. No workmanship found.